The Heart of Wessex Community Rail Partnership has been ably and wonderfully lead by Catherine Phillips for some considerable period. Traffic has grown a long, long way above average on what's a difficult and rather seasonal line, and stations have been transformed largely by volunteers on a shoeshring budget from unloved facilities into cared for stations. To give readers an idea of just how much has changed ... the line has moved from being just about the only line proposed for closure in the least draconian version of the Serpell report (1982, option C1) to being one on which overcrowding management has been an issue; in my TransWilts days, I worked with Catherine to ensure that we only added extra traffic onto trains / days that could cope. I understand that Catherine has retired - 3 weeks ago. Unconfirmed (hence initially "Rumour Mill") but not unexpected; and should this be confirmed. See https://www.heartofwessex.org.uk/our-community-rail-partnership/a-farewell/; I wish Catherine a long and happy retirement. 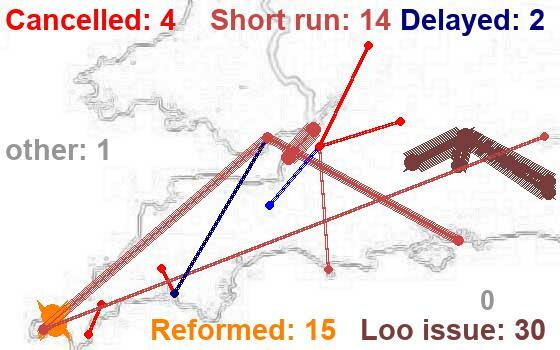 I worry for the future shape of what happens to the Heart of Wessex CRP and to passengers on the line. I hope those worries are no more than a fear of the unknown. The Heart of Wessex service from Weymouth runs up through Dorset via Dorchester and Yeovil and Castle Cary where it joins the main South West to Paddingotn main line, providing the only local service at Bruton and Frome on its way into Westbury. From Westbury, the services carry on via Trowbridge and Bradford-on-Avon to Bath and Bristol. Although the service at the southern end of the line is "infrequent" it has been tailored over the years such that the service does as much good as it can bearing in mind the number of trains per day. Once past Frome, you have a few more services and north of Westbury, the Heart of Wessex train is knitted in with other "stoppers" giving an hourly all stations service to Bristol, supplemented by an hourly semi-fast on the Portsmouth to Cardiff secondary main line. There is much through traffic between the section south of Westbury and the section north thereof - significant traffic (for sure) Weymouth to Yeovil, but apart from that flow most of the others from the south are to Trowbridge and beyond. The Heart of Wessex CRP has logically covered the whole service up to Bristol though tapering out and with Severnside tapering in as it gets closer to the city. Heart of Wessex has always been many-authority funded; it was the bain of Catherine's life keeping them all on board with a longer term project (which a CRP is) as budgets and election cycles went around and views of the ruling groups sung like pendulums. A further layer is now being added to that, as some of the areas passed through are moving from county and district to unitary structures. For "Frequent Posters" I started a thread yesterday which raised some of the possibilities for the future of the Heart of Wessex partnership ... further data to be posted in public as it's verified as being somewhat better than well educated guesses and unconfirmed reports. Catherine has been an icon to look up to, and a motivator par excellence on what's been a difficult line with lots of volunteers and only half hearted local authority support - her shoes will be hard ones to fill, whether they're filled by a single new person or by a team of other community rail people stepping in as the line passes from Severnside through the corner of TransWilts territory and across Blackmore Vale, ending not far from Purbeck who recently took on their first employed Community Rail Officer. Suggestions - and they were aired at a public meeting last night - are that there is some competitive element between items (1) and (4); Wiltshire Council has been funding Heart of Wessex annually by between £5500 and £6000 pounds (origianlly £5000, inflation linked) and both CRPs would, I'm sure, be happy to have the extra income. 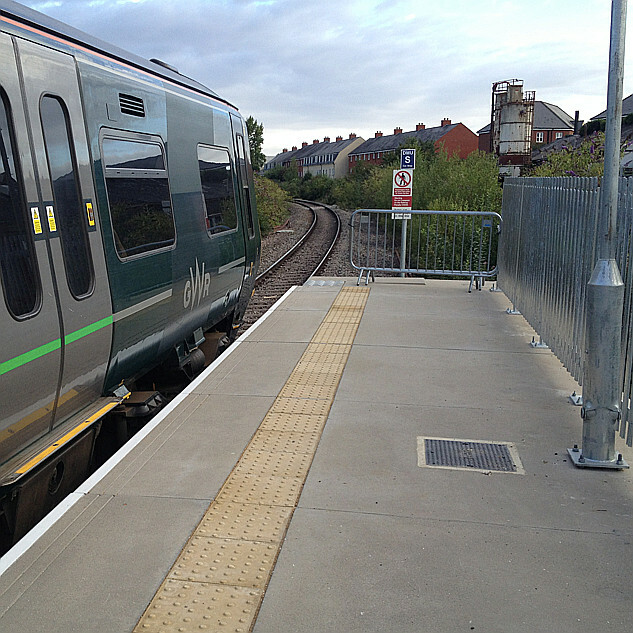 Looking to the Weymouth end of the line, there is concern that the new unitary authority may not have Community Rail up to Yeovil and beyond as a funding choice. The outcome of re-arrangements in Somerset (South Somerset perhaps becoming unitary) is also a concern. To clarify - I mentioned Blackmore Vale CRP but not SERUG in my post above. Both of these two remain very active and will be into the future to the best of my knowledge ... the group that's going is more of a paperwork exercise cleaning up a name which I had difficultly finding through Google ... and has really been subsumed into the others already. Thinking about it, I’m not sure this is good news for the promotion of line which HoW CRP have done such a wonderful job along with such dedicated volunteers looking after the stations along the route. Will GWR continue to produce the excellent line guide/timetable brochure? Heart of Wessex Community Rail Partnership have said a fond farewell to their long standing community rail officer, Catherine Phillips, who has taken retirement. ACoRP operations manager Paul Webster has this to say about Catherine and her tireless work promoting the line.